Among the few ubiquitous TV show formats is the home renovation genre, which helped define HGTV and is now commonplace on a slew of traditional cable channels like DIY Network and FYI. 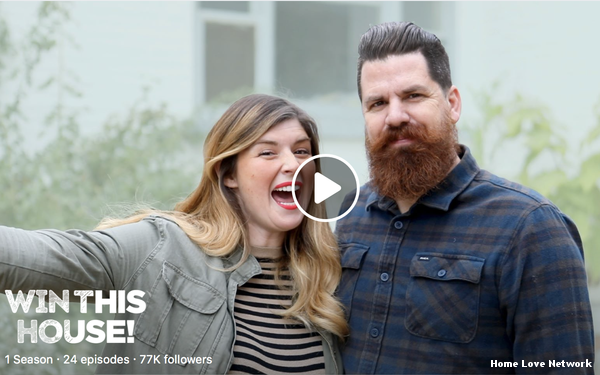 So it was surprising to Candis and Andy Meredith—who hosted the series “Old Home Love” for HGTV and DIY Network—when they discovered that the genre was largely absent on digital and social platforms. “All things pointed to a long career on HGTV, but my husband and I realized there was this blank space in terms of home and lifestyle television on digital,” Candis Meredith tells Video Insider. While TV networks that specialized in renovation shows had plenty of digital content, most of it was repurposed from their existing library of programming, and not designed with digital in mind. “When they told me about the opportunity, I really looked into what type of content was existing in digital in that specific category, and realized there wasn’t really anything,” Schlofman adds. The end result was the formation of a digital media company called Home Love Network, which is seeking to take home renovation, along with other lifestyle genres, into the digital streaming universe. One of the goals of Home Love Network was to figure out how to tweak the renovation format for a younger audience used to engaging directly with influencers, brands and content. So the company decided to give the audience a role in the programming itself. On its first “tentpole” series, “Win This House!,” on Facebook’s Watch platform launched ate last year, allowed viewers to weigh in on the design of a house being built, from the color of the paint to the furniture selection. At the end of the season, one viewer would win the house itself. “It was this interactive content experience that you can't find on linear or any other platform,” Schlofman says. Original episodes of “Win This House!” have drawn more than two million views each. Home Love Network is now planning to build from that early success as it seeks broader distribution. Meredith says the company has 19 original series in development, including four “tentpole” shows that the company is trying to sell to distribution platforms such as Facebook. Other shows in development will be brand-supported and distributed widely, available on social media, YouTube and the company’s own platforms. “Our motto is, 'Watch everywhere,'” Meredith says. The projects in development span genres from lifestyle to travel, including a mixed travel/renovation show featuring “The Bucket List Family,” who have millions off followers on social media, and “Old School Reno,” a show featuring the renovation of a 20,000-square-foot schoolhouse into a private home. The home renovation genre lends itself well to brand integrations, which became a central business plan for the company. Meredith says the company approaches brands that it thinks would be a good fit for its shows, and offers a suite of options, from series revolving around a specific product, to channel sponsorships where a brand is simply featured in a number of episodes, or in a title card as a presenting sponsor. Brands can also use some elements from the programming for their own media distribution. Schlofman says “several different brands” have expressed interest in some of the programming in development.